The recently appointed MEC for Social Development, Dr Phumza Dyantyi, must fast-track the recruitment process to fill the vacant posts in the newly-established Non-Profit Organisation (NPO) Unit if she wants to make any positive attempt to get her department out of its current state of paralysis. People living on or below the poverty line are the most vulnerable but are often excluded from society itself with little or no relief from meaningful social development initiatives. The DA believes that this needs to change. The Department of Social Development must fulfill its mandate in this regard and become the vital governmental enabler it is meant to be. The department has now established a special NPO Unit with ten provincial head office officials and 1 647 staff posts at a cost of R118-million, who will be employed in the eight districts across the province to strengthen working relationships with NPOs. In a reply to a question I asked the now-axed MEC, Nancy Sihlwayi, she revealed that the new unit will specialise in managing NPO registrations, funding requests, conduct performance monitoring, evaluation and legislative compliance functions. The unit comes complete with a help desk to assist local NPOs in every district service office. While the DA welcomes the establishment of this new unit, we are concerned that there are 1 521 vacant posts in this new directorate. There are currently a total of 1 774 social workers and 223 social work supervisors employed by the department. A scathing report was tabled in the Bhisho legislature during the recent budget debates for the various government departments. In the report, the Portfolio Committee on Social Development came to the conclusion that services to the vulnerable and poor, as well as job opportunities, had decreased despite an increase in the department’s budget. Holistically, the report was an indication of poor political and administrative leadership at all levels of the department. Various NPO-operations were disrupted during the 2017/18 financial year when the department unceremoniously implemented extreme budget cuts. In addition, the department has an annual battle to timeously process large volumes of business plans, funding allocation letters and service level agreements. These delays place severe financial distress on the more than 2 100 NPOs that render various social services on behalf of the department to the most vulnerable and poor in our province. Unless the posts in the new unit are filled, it will not have any positive impact on alleviating and improving NPO-frustrations with the department. I have written to MEC Dyanthi, to request her to ensure that the new unit is fast-tracked in terms of filling posts. The DA will continue to monitor the progress in this regard. A DA-led provincial government will bring about the change that is needed to protect the vulnerable and to make them part of an inclusive, caring society. 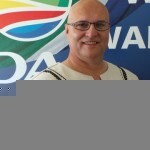 — Kobus Botha MPL, Shadow MEC for Social Development.